STAY ONE WEEK, GET ONE NIGHT FREE!!!!! 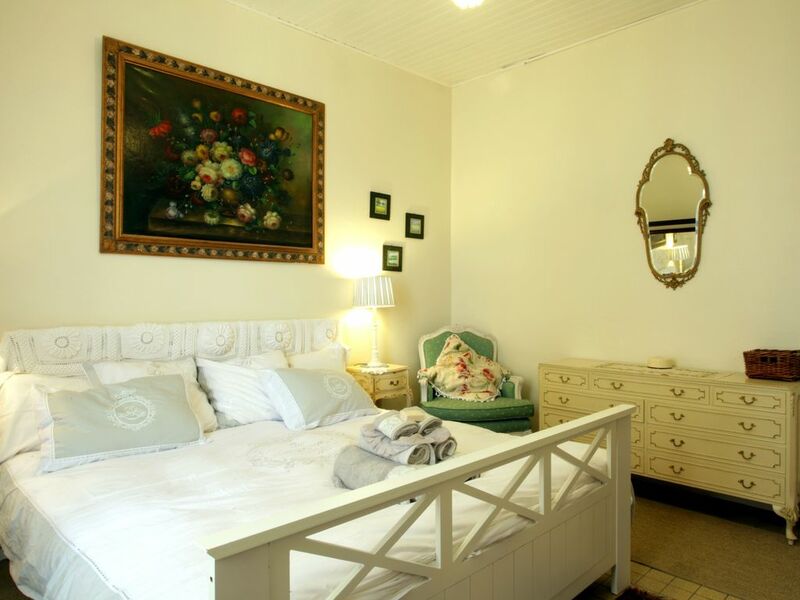 The Cottage has all its original French features and is sure to immerse you into the typical French lifestyle. Open the windows and pick plumbs off the balcony while enjoying a bottle of local blanquette on the terrace in the warm evening. We are using all beautiful French antique linens and furniture. There is use of a lovely plunge pool. Shower by the pool, sun beds tables umbrellas to relax and enjoy your stay. Down in the landscaped garden. It is relaxing and tranquil here in Carcassonne and there is plenty to do and to see: Carcassonne Castle, the exquisite French restaurants, the Canal du Midi and the annual music festivals. Carcassonne is both beautiful in Summer and Winter. Christmas is magical and the town hosts a number of festivals and entertainment such as live music to add to the Christmas atmosphere. The local shops are 10 minutes walk from the property and the Castle is 20 minutes over the ancient bridges. My name is Eileen. I live in France with my daughter and my Shar Pei, Ulla. For all my life I have always been interested in the hospitality business - having been an airhostess for 20 years and an owner of a B&B in Portsmouth, England for five years which won Four in a Bed in 2013 - I couldn't simply just retire to France and be idle. I decided to turn my French cottage into a beautiful holiday dream by the Canal du Midi. Carcassonne was my first choice when moving to France, as it was an ideal place to settle. It is an incredibly relaxed city however, it is so full of life. The area is full of ancient history, an interesting culture mixed with French and Spanish and plenty of things to do which have kept my daughter and I entertained all year around. Our Summer starts in April and ends in September so there's always time to visit the sun while other parts of the world are still gloomy. Canal cottage is an open window away from the Canal du Midi, a mere 20 minute walk to the castle and 10 minutes to the city centre. We are one hour from Toulouse. There is parking always available outside the property. Despite how relaxing it is here - there is plenty to do and to see. Carcassonne Castle, the exquisite French restaurants, the Canal du Midi, the annual music festival and the smaller fétes which happen all year round such as wine tasting, local cheese fares, and a tribute to the Spanish which consists of a lot of dancing and sangria. Additionally we're close to other popular French cities such as Toulouse, Narbonne, Montpellier and Perpignan which make a great day out that can be easily visited by train which is only a five minute walk from the cottage. Canal Cottage is 15 minutes drive from the local airport where rental cars and bicycles are available, if you tell me beforehand I can pick you up. There is one bathroom equipped with a shower and shower gel, shampoo, conditioner, luxury fluffy towels and olive soap provided. Cleaning / Towels / Linen / Maid service: Sheets towels and bed linen are all provided and a cleaning service can be arranged if you require it. Canal du Midi which is outside the front door - it is ideal for fishing or walking. Carcassonne also boast its own lake/beach which is 15minutes drive in surrounded by the region's neighbouring mountains. Carcassonne airport is the local airport and is 15 minutes drive from the Cottage. We can arrange to pick you up if you tell me prior. Toulouse is the closest international airport and takes an hour to reach the cottage by train which stops 5 minutes from your accommodation. Both airports house rental car services which may be necessary if you want to travel to more than Carcassonne. However I would suggest using the train as a car would be seldom used considering the location of the Cottage. 1h30minutes to Montpellier which is the capital of Languedoc-Roussillon. 1 Hour to Toulouse which is a brilliant city for shopping and a night out. 1 Hour to Perpignan which boasts some brilliant history and scenery. 35minutes to Narbonne where there is also a beach and some brilliant shopping. Carcassonne market every Tuesday, Thursday and Saturday. Additionally there are antique car boot sales every sunday where you can find some spectacular items from across the region. Booking Notes: Deposit required, paypal or bank transfer for bookings. Changeover Day: Saturdays or by arrangement with owner. Notes on prices: Different packages throughout the year.